I ran my 201 up to 2200 hours on a Mattituck. It was burning a quart every 4-5 hours. I had an engine shop build me a first run engine, and used Cermichrome back when it was a hot item. My new engine burned a quart in 4-5 hours. I honestly have never seen a Lyc in a Mooney burn better than a quart in 10, and good seems to be a quart in 7 or 8, unless the engine is run a really low power settings as a matter of practice. Air cooled engines use oil. Your oil consumption will be affected by things like cruise speed settings, (I run ‘em) and how many takeoff’s you make. Touch and goes will really burn oil, as your engine is working at its hardest for takeoff. Lyc once told me that if it’s burning better than a quart an hour, you’re okay as long as it’s making compressions. Filling the sump to its max capacity is another way of wasting oil. With such a high level, you hit turbulence, and the oil splashes up onto the crank shaft and gets slung out. I can attest that the Lyc will make oil pressure down to about a quart and a half, so keeping the Lyc’s at 7 quarts is no problem. No matter what your oil consumption is, the thing to watch for is a sudden change in oil consumption. 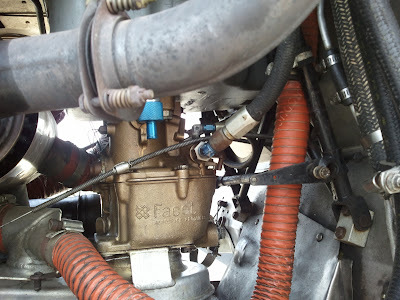 It is wise to keep a record in the plane of your normal oil consumption, so that if it changes abruptly over a short period of time, you’ve probably got something going wrong inside your engine.